Sweet relief is just a roll away! What has pain stolen from you? Maybe it’s playing the piano – like A. Matarsene from Virginia. Or days in the great outdoors – like New York’s D. Cansdale. Or maybe – like F. Beeman of Michigan – it’s tennis. Whatever pain has stolen from you – whether it’s knitting, cycling, dancing or simply spending quality time with your children or grandchildren – don’t you want it back? Well, thanks to an incredible double breakthrough, you can finally take back the activities pain has stolen! Mr. Cansdale wrote to say, “I had… terrible pain. Now it’s all gone. Now I can walk in the hills again… without any trouble." Just like these people, you can take back the activities pain has stolen from you. And in just a moment, I’ll reveal the secret that makes it possible. Finally – A Pain Reliever That Really Works! My name is Jack Danforth, and I’m the president of Healthier YOU. But I’m also a regular person – someone who wants natural remedies that work. And that’s why I’m excited to introduce you to Pain-Free HP with Menthol – the secret that gave Mr. Matarsene back his piano… Mr. Cansdale his outdoors… and Mr. Beeman his tennis. And it’s the secret that could give you back the activities you love, too. Right now, you may be saying, “Oh no, not another pain relief product!” And you’d be right… because Pain-Free HP with Menthol isn’t just another pain relief product. In fact, I have a whole stack of letters on my desk right now that say Pain-Free HP with Menthol is different – because it really works. Pain-Free HP with Menthol works because it’s different. It delivers its powerful pain relievers directly through your skin. There’s simply no faster way to get relief where you need it. But there are 3 natural oils that do both amazingly well. And you’ll find all 3 in Pain-Free HP with Menthol. That’s how it can speed relief to your sore muscles or joints so quickly. That’s why you can feel relief so much faster with Pain-Free HP with Menthol. There’s no long wait for pills to “kick in.” As soon as you rub this unique formula on, it speeds its way through your skin… to deliver fast relief exactly where you need it. Whenever and wherever pain strikes, just roll on Pain-Free HP with Menthol for fast, powerful relief. How powerful? That’s Pain-Free HP with Menthol’s second breakthrough. The secret to shutting down pain may surprise you. It’s chili peppers. Yes, I mean those jalapeños and habañeros that set your mouth on fire. You see, they’re loaded with a substance called capsaicin. Capsaicin is what makes chili peppers so hot. But it’s also the key to turning off the aches in your joints and muscles. Capsaicin feels hot in your mouth… but it does something entirely different when it penetrates your skin. First, it stimulates circulation. And getting more blood – with its oxygen and nutrients – to sore joints and muscles doesn’t hurt. But then capsaicin does something else. Something quite remarkable. Substance P is a chemical your body uses to trigger pain signals. When you’re hurt, the injured area releases substance P. Substance P then tells your nerves to send pain signals to your brain. And that’s the beauty of capsaicin. When your supply of substance P dries up, the pain signals stop. And so does your pain. Suddenly, like Mr. Matarsene, you’re playing the piano again. Or hiking… dancing… knitting… golfing… or whatever your favorite activities may be. You get back what pain has stolen from you. That’s why you’ll find a full .075% of natural capsaicin in Pain-Free HP with Menthol. Many products contain only a third as much capsaicin… or a synthetic form that isn’t as effective. But with Pain-Free HP with Menthol, you get the real thing – and plenty of it. There’s one other powerful ingredient I should mention, too. When you add a turbo-charger to your car, it gives the engine a boost… adds a little extra horsepower. And that’s what we’ve done with Pain-Free HP with Menthol. But this boost comes in the form of methyl salicylate – wintergreen oil. But when you combine wintergreen oil with menthol, you get the effect of a turbo boost. In a Japanese study, people with muscle strains got significant relief with this simple combination. Even when they used the strained muscles instead of babying them.9 And with Pain-Free HP with Menthol, you get the added relief of capsaicin and emu oil. No wonder so many people are writing to say they love it! When you buy a bottle of cough syrup or a tube of ointment at the pharmacy, and it doesn’t work, you’re stuck with it. You’re out whatever you paid. Well, like you, I’ve been disappointed often enough that I’m shy about trying new products. Who wants to get stuck again? Order Pain-Free HP with Menthol and put it to the test. And I mean really put it to the test. Try it on your toughest pain… not for 30… not for 60… but for a full 90 days. If you’re not 100% satisfied – for any reason – just send it back for a full refund of the purchase price. Even if the bottle is empty. That’s how sure I am that you’ll love Pain-Free HP with Menthol – just like I do. And if you take me up on this risk-free offer in the next 7 days, I’ll even sweeten the deal. When you roll on Pain-Free HP with Menthol, the menthol goes right to work. 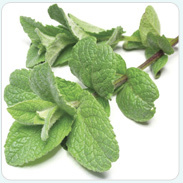 First, menthol’s ability to “open up” the spaces between skin cells helps speed relief to the muscles and joints below. Menthol also stimulates the nerves that sense cold. So when you rub it on your skin, you feel an almost instant sensation of coolness – like a refreshing breeze. 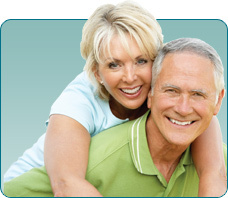 Pain-Free HP with Menthol is designed to give you the fastest, most effective relief available. I personally guarantee it – or your money back. Trigger points are places on your body that can radiate pain to other parts of your body. Shut down the trigger points, and you shut down the pain. And these trigger points have been used for years by some very influential people. You see, President John F. Kennedy’s personal doctor discovered how trigger points work… and how to switch them off. And it’s phenomenally effective. Just roll Pain-Free HP with Menthol on your sore muscles or joints. Then use it on your trigger points, too. It’s the fastest way to make aches and pains vanish. Doctors often charge $100 or more to work on your trigger points. But you can discover where they are – and how to stop the pain they radiate – for FREE. Just order Pain-Free HP with Menthol in the next 7 days, and I’ll send you Harnessing the MR-Response – a special report that normally sells for $19 – absolutely FREE. Harnessing the MR-Response shows you exactly where your trigger points are. And how to get the same amazing results doctors charge $100’s of dollars to achieve. But this $19 value is yours FREE. And if you decide to return your Pain-Free HP with Menthol, you can keep Harnessing the MR-Response with my compliments. Are you ready to take back the activities pain has stolen from you? You’re holding the answer in your hands right now. An answer that’s already working for thousands of people just like you. Powerful relief that speeds right to the muscles or joints that need it. Fast relief that goes to work as soon as you roll it on. Convenient relief you can use anytime, anywhere. And now you can experience that relief at terrific savings. Order 3 roll-on bottles of Pain-Free HP with Menthol, and I’ll send you 3 more for FREE. That’s 6 bottles of sweet relief at a savings of $109.60 over getting one bottle at a time. Or, you can order 2 bottles, and I’ll send you a 3rd bottle free. You save $38.80 over getting one bottle at a time. Not sure? You can get a trial supply – 1 bottle – of Pain-Free HP with Menthol. It’s just $24.95 plus shipping and handling. And don’t forget… When you place any order in the next 7 days, and I’ll send you a copy of Harnessing the MR-Response absolutely FREE. So don’t let life pass you by. Take back your evenings out… your walks in the park. Take back your painting… your golf… playing with the grandkids. Rediscover everything you’ve been missing. Just click here to order Pain-Free HP with Menthol now. Discover why they’re so happy… and how to finally get rid of the pain that’s holding you back. It’s easy with Pain-Free HP with Menthol. Just click here now to get started. Yes! I want to prove to myself that Pain-Free HP with Menthol will stop my worst pain in minutes. But I don’t want to risk a single penny… Please rush my Pain-Free HP with Menthol on the terms I select below. I understand that if I’m not completely satisfied, I may return the unused portions within 90 days for a prompt, full refund, less shipping. BEST DEAL! Buy 3, Get 3 Free! 6 bottles for only $74.85 plus shipping and handling. You save $109.60 over getting a single bottle. SUPER DEAL! Buy 2, Get 1 Free! 3 bottles for only $49.90 plus shipping and handling. You save $38.80 over getting a single bottle. Buy 1 bottle for only $24.95 plus shipping and handling. Every order of Pain-Free HP™ with menthol is fully protected by our Money-Back Guarantee. Please take an extended 90 days to see if Pain-Free HP™ with menthol delivers the relief you want. Our goal is complete customer satisfaction. If for any reason at all, you’re not pleased with the results, simply return the unused portion within 90 days for a prompt, full refund of your purchase price, less the small delivery fee. Galeotti N, et al. Menthol: a natural analgesic compound. Neurosci Lett. 2002 Apr 12;322(3):145-8. Liu Y, et al. Menthol facilitates the skin analgesic effect of tetracaine gel. International Journal of Pharmaceutics, Volume 305, Issues 1-2, 23 November 2005, Pages 31-36. Abdullah D, et al. Enhancing effect of essential oils on the penetration of 5-fluorouracil through rat skin. Yao Xue Xue Bao. 1996;31(3):214-21. Hong C-Z and Shellock FG. Effects of a Topically Applied Counterirritant (Eucalyptamint) on Cutaneous Blood Flow and on Skin and Muscle Temperatures: A Placebo-Controlled Study. American Journal of Physical Medicine & Rehabilitation, February 1991, Vol 70, No 1. Morra P, et al. Serum concentrations of salicylic acid following topically applied salicylate derivatives. Ann Pharmacother. 1996 Sep;30(9):935-40. Tanen DA, et al. Comparison of oral aspirin versus topical applied methyl salicylate for platelet inhibition. Ann Pharmacother. 2008 Oct;42(10):1396-401. Epub 2008 Aug 12. Higashi Y, et al. Efficacy and safety profile of a topical methyl salicylate and menthol patch in adult patients with mild to moderate muscle strain: a randomized, double-blind, parallel-group, placebo-controlled, multicenter study. Clin Ther. 2010 Jan;32(1):34-43.